There is surely nothing more frenetic on two-wheels than the KTM 990 Super Duke short of sticking a nitrous kit, a jet turbine and a flame-thrower into the frame of a fold-up bicycle. 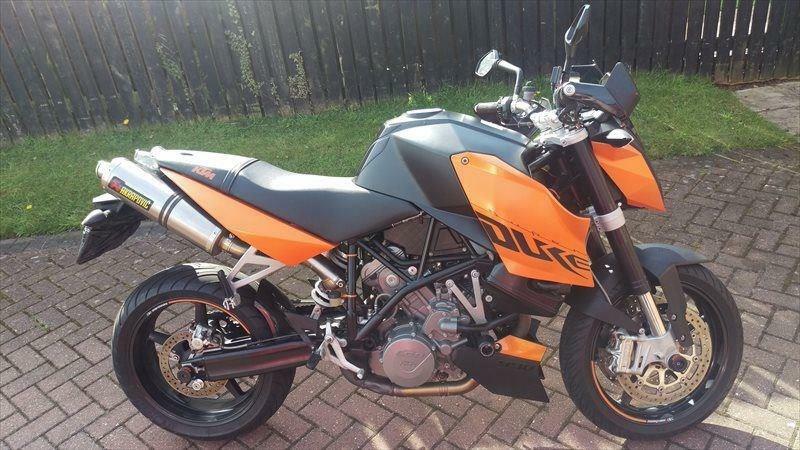 Simply one of the most barking road bikes you can buy - you will never get bored on a 990 Super Duke. This example has covered just 8872 miles and comes with Akrapovic exhausts. "A complete hooligan Get on it, point it towards some tight, twisty roads and try not to giggle with excitement"